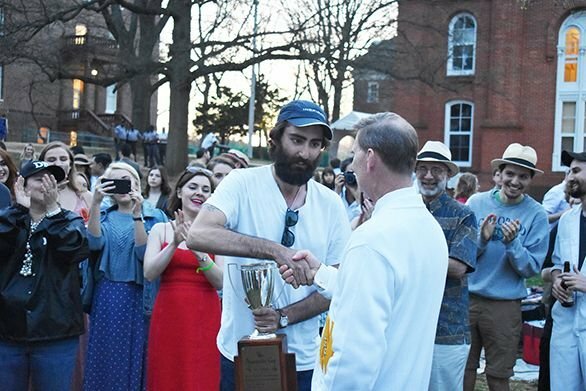 St. John’s Imperial Wicket Shane Hettler (A18) receives the 2018 Annapolis Cup from U.S. Naval Academy Superintendent Vice Admiral Walter E. “Ted” Carter Jr. 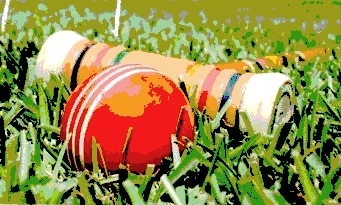 The St. John’s College croquet team won the 2018 Annapolis Cup Saturday, outlasting the neighboring United States Naval Academy 3-2.